We decided to have a Zoo Birthday Party for Bryce’s first birthday last year. He was obsessed with this awesome toy by Fisher Price so it just made sense to give him a birthday party full of animal fun! You can see the details of the decorations that we used for the party here but below I have listed some of the items we purchased with links so that you can buy them as well as some other fun stuff I have run across since then! 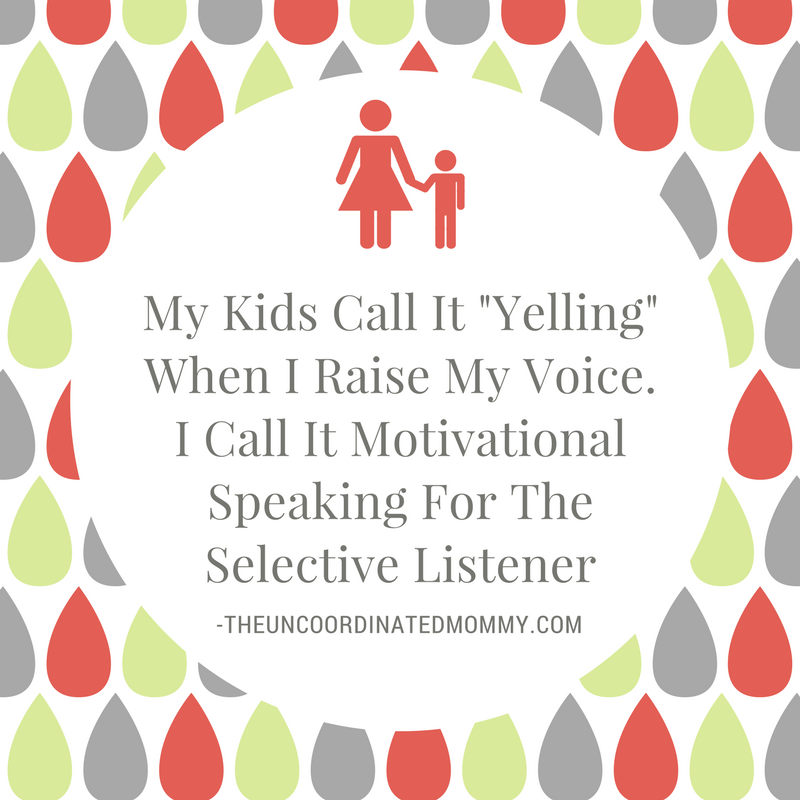 I hope you find it useful to have them all in one place! These were so much fun! Each child was able to pick what animal they wanted to be and then they were able to take them home when the party was over. 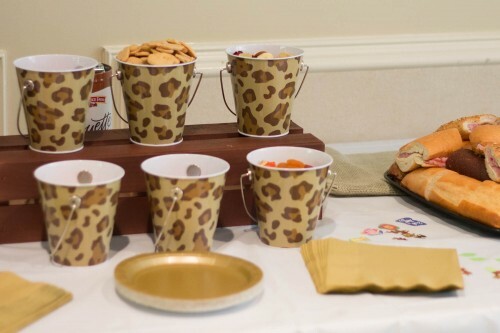 Add a little “Don’t Feed The Animal” sign and this trail mix station is ready to go! The crate came from the craft store and just required a little brown spray paint. You can fill them with animal crackers, mixed nuts (watch out for allergies! ), gummy worms and other fun animal-like foods. These are perfect for scattering around on the tables, the kids loved playing with them and I added a couple to each party bag for them to take home. We still have loads leftover and the kids love pulling them out and playing with them. We didn’t have these for our party but I wish we had! How stinkin’ cute!? Kids can take them home and if you end up with extras donate them to your preschool! 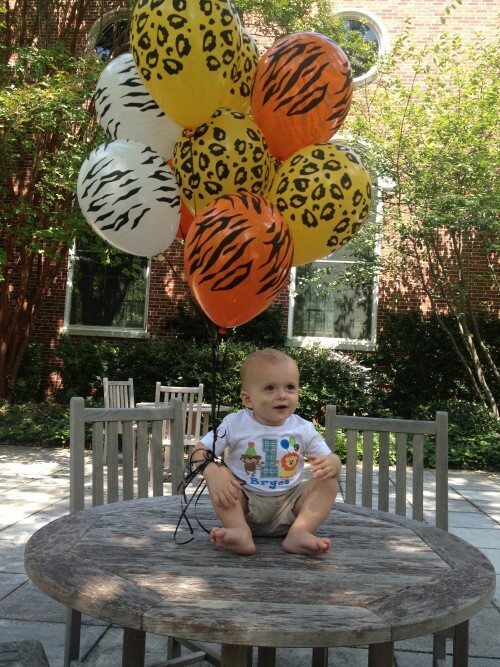 A safari or zoo birthday party is not complete without animal print balloons!! And we found his precious little shirt on Etsy! We placed a bunch of these inflatable animals in the corner and put up a petting zoo sign! The kids LOVED them and over a year later we still have these little critters roaming throughout our house. The boys still love them and we haven’t had any air leaks yet! I didn’t make cupcakes for this zoo birthday party, but I usually do and these liners would be adorable! OMG! I wish they had these when we were planning his party! Tiny rubber duckies are perfect favors for a 1st birthday!! This is a great game for a birthday party with lots of little ones. Very easy and fun! 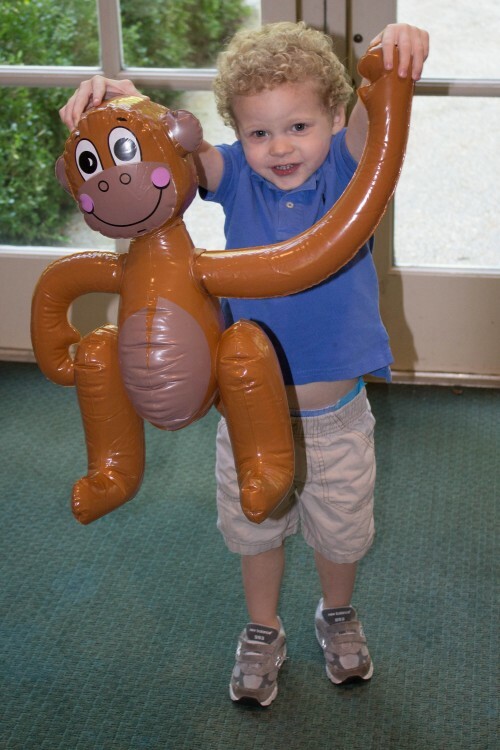 This is another favor that would be perfect for a zoo birthday party with toddlers or preschoolers! All of these links are affiliate links through Amazon. I LOVE buying stuff for our birthday parties online. It’s almost always cheaper and with Amazon Prime (click the image below for a 30-day free trial) I get free two-day shipping on most items. I literally order most of the stuff the week before the party and have no worries about getting it in time. I wouldn’t necessarily recommend that since not everything is Prime eligible, but it’s nice to know that you can procrastinate and still throw an awesome party without having to drag kids into the store. Ever since Bryce dumped a 4 tiered, color sorted, display of Hershey Kisses on the floor at Party City, I decided that life with Prime was WAY easier. Also, included with your free shipping you can stream 1,000’s of shows and music!